Yondo – The NEW home for Video eCommerce! There are so many people out there who provide online courses, live video sessions, and all such stuff. But always find it incredibly tough, as they have the stuff that is absolutely outdated and out of fashion! Not anymore! Introducing to you world’s finest created combined with the technology of the FUTURE blockchain. Yondo is an eCommerce platform that allows users to sell digital products including Online Videos on demand, online video courses, live 1 to 1 Video Sessions, Webinars, and Online Audio on demand (Live since 2015). Yondo is also there to offer the functionality to sell E-Books and Audio Recordings (2018) and online courses packaged with E-Books, Audio Recordings, Live and Pre-Recorded Video Content (2018). Yondo is an upcoming ICO that is ALL-IN-ONE Video eCommerce Platform to help to take your business ONLINE! It is created to allow you to enjoy your life yet able to get what you always desire. With features that enable you to Offer pre-recorded videos with options like Monthly subscriptions or timed pay-per-view rentals or both! Then, you could perform Webinars and group classes online for upto 1000 attendees and you can also allow your customers to book yourself to perform live 1:1 videos or phones sessions! But that’s not IT! Yondo will also be providing you the greatest option called LIVE Experience. It will enable you to create videos that are presented as LIVE, which allows you not to sweat over the worries that often occur with LIVE presentation or product demo. As this feature will allow you to record your presentation and play it as LIVE. With this, you will have the opportunity to edit and deliver a PERFECT presentation to the viewers. And last but not the least; it is YondoCoin Reward program, which will allow users to exchange Gold and Platinum YondoCoin Rewards within the Yondo Platform for online gift cards. The brand rewards program is set to be released this year in the U.S, Canada, and Australia with further expanding on various countries over the next couple of years. 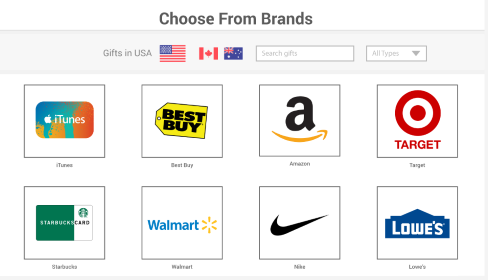 The Yondo rewards program will have over a hundred gift card brands including Amazon, Walmart, Target, Target, eBay, GAP, Nike, Adidas, Delta Airlines and many more. The Presale is already started from 13th March 2018 at the price of $0.20. It will run for 75 days or early IF the hardcap is accomplished. The first 4 weeks (24 days) of the presale will have upto 70% bonus. So, do not miss out on the opportunity of the lifetime! Tradesatoshi Exchange – The NEW home of traders! CamX – The revolutionary project for video-chat webcast (livecam)! PIF – The new home of charity!